This clever reboot of the Guitar Hero franchise is notable because it’s a well-crafted attempt to re-evaluate the GH franchise for a new era. It features a carefully thought-out controls redesign that feels more guitar ‘chord’-like, and it’s got me back on the plastic guitar bandwagon after two or three years away! In particular, it’s the ‘GHTV’ mode that’s been taking up most of my time – the FMV footage-led part is the other half of the game, ‘Guitar Hero Live’ itself. GHTV has a number of great features. 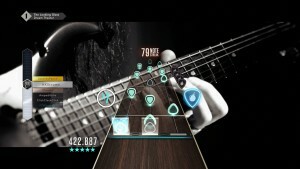 In particular, playing along to the original music video is a (visual) blast, and the matching against other real-life players gives you a visceral-feeling score challenge on every song. A number of the reviews have taken issue with the F2P-lite elements of GHTV – you can never truly ‘own’ a song, and you use credits every time you play a track you picked yourself. However, with a couple of 24-hour ‘music channels’ you can hop in and play any time for free (great music discovery here!) & fairly generous credit awarding for leveling-up, I haven’t found GHTV too grindy or spendy. And FreeStyle are adding a LOT of new music videos, including classic ’80s goodness. Overall – a breath of fresh air. 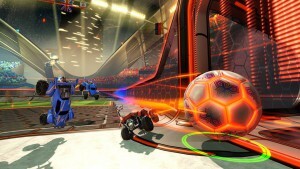 Probably on a few end-of-year lists, Rocket League is an unlikely idea – soccer with cars – polished to within an inch of its life. As a direct result of that, it’s some of the most fun I’ve had playing a game in years. There are probably a lot of subtle reasons why the Rocket League works, many derived from the fact that this is a second-generation car soccer game (?!) But an easy automatching service, solid online play (after demand-related glitches early on! ), and carefully designed arenas that maximize the ‘ball bouncing just in front of goal’ are just a few of them. It came as a surprise to me that there’s so much high-level play in the game as well. But that’s yet another sign that this unlikely sport is here to stay – if it’s fun for clunky neophytes like me, and still fun for thousand-hour veterans. It’s turned what could be stereotyped as a ‘silly physics’ game into a long-lasting eSport – a surprising result that Rocket League has joyfully and effortlessly bounced into. There are relatively few ‘genuinely new’ game designs every year – or at least, designs that fuse together ideas in a way that feels fresh. 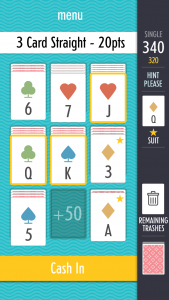 Zach Gage’s Sage Solitaire – which mashes up poker and solitaire in a super-clever melange – is one of those ‘new’ titles that just works. Why? Well, there’s a multitude of smart modes – including a ‘persistent cash’ one that plays with permadeath ideas in a solitaire setting, and adorably treats it as if it’s not a completely out-of-nowhere idea. (It is.) And there’s a lot of strategy in some of the score multiplier tactics. Plus, actually clearing the board is hard, so you get a kinda of Flappy Bird-style repeat compulsion. The greatest compliment this game can probably be given is that, on my trip back to the UK in October, I loaded Sage Solitaire onto my mum’s iPhone, and she also immediately became just a bit addicted to it. And she’s a fairly picky game player. Conclusions? Accessibility: high. Depth: high. Result: win. Given that Super Mario World is my favorite game of all time, it shouldn’t be surprising that a game that lets you create and play an infinite amount of Super Mario World levels should be on my list of favorites for the year. Heck, I dug my Wii U out of the garage (literally!) to play Super Mario Maker. 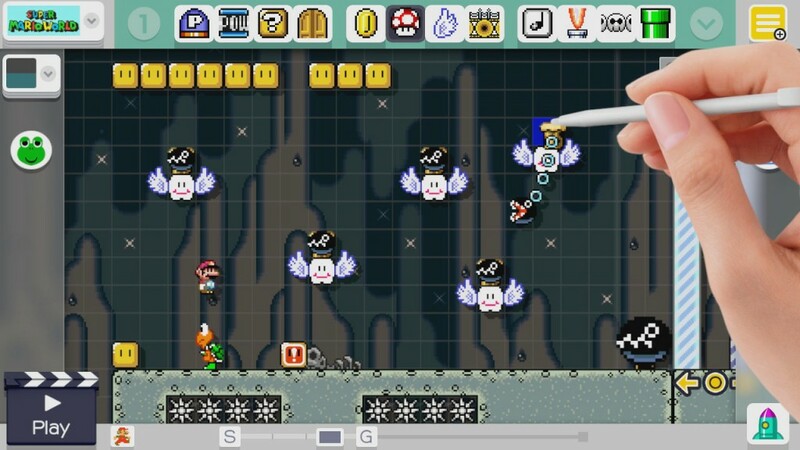 Despite some slightly clunky issues around discovery (I ended up making a Google Doc for Mario Maker levels from game developers and writers, due to too many ‘autoplay’ levels flooding the top charts), the creativity seen from the community’s levels was off-the-charts fun and smart. 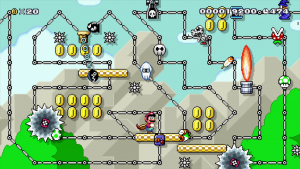 And the random-micro-level Mario Challenge setup was also a great choice for 2015 – ‘procedural’ randomness is in! Heck, possibly my favorite gaming event of 2015 was the final stage of the Nintendo World Championships, featuring a special set of Mario Maker levels created by Nintendo’s Treehouse. There’s a dab of Kaizo Mario in here, but also several times more pure creativity – and the game’s user-creation tools are the killer app for the Wii U it perhaps should have had at launch. Better late than never! Another much picked end-of-year favorite for 2015, this enchanting one-man Earthbound-ish 2D RPG jaunt stands out for two reasons. Firstly, its combat system is a clever twist on normal turn-based RPGs. But secondly, and more importantly, Toby Fox’s title is one of the wittiest, best-written games in recent memory. Characters are impeccably well-laid out, the pacing is good – though gameplay is a tiny bit repetitive on occasion – and small, brilliant narrative touches are all over the game. Wait, OK, I guess there’s more! Thirdly, the soundtrack – also composed by Fox – is one of the catchiest in aeons, and has already spawned about a billion YouTube remixes. Fourthly, there’s quite a bit of emotional depth underneath all that wit, and this is reinforced by the multiple ways you can choose to act in the game – from smashing to persuading. Fifth, the ways you choose to behave in-game triggers some notable gameplay changes – and different ends to the game. Once you realize this, you’re constantly scanning Undertale for different things you could have done and their effect on the narrative. And the ‘what if?’ factor creeps up and you decide you might want to play over again. And again. And – bravo, Undertale is the feel-good hit of the year.